Finish off your own dinner party or special occasion with a homemade Pecks Pudding. All our puddings are baked fresh to order, so we always need a minimum of 2 working days notice (more for popular times such as Christmas or Easter). Please call the restaurant to order your puddings. 01260 275161. A crisp sweet pastry case filled with raspberry jam and almond frangipane. 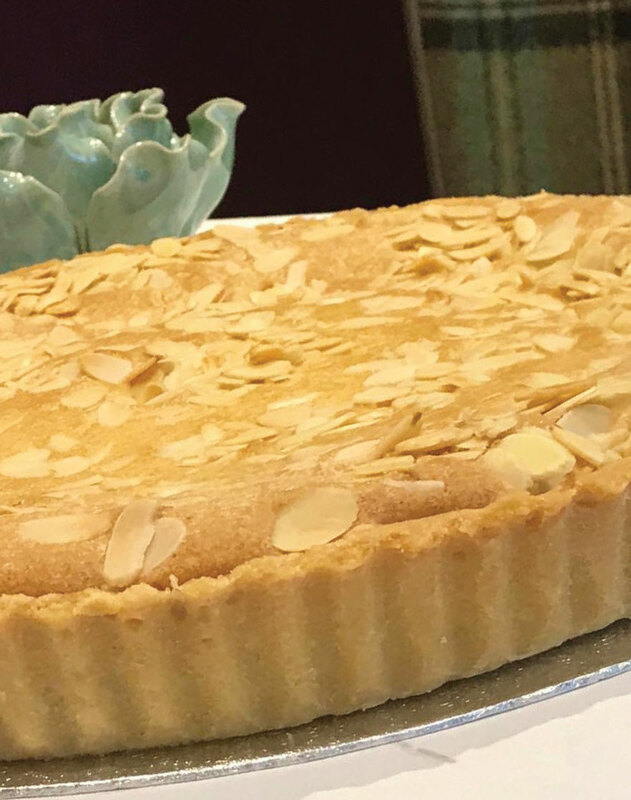 Topped with flaked almonds. 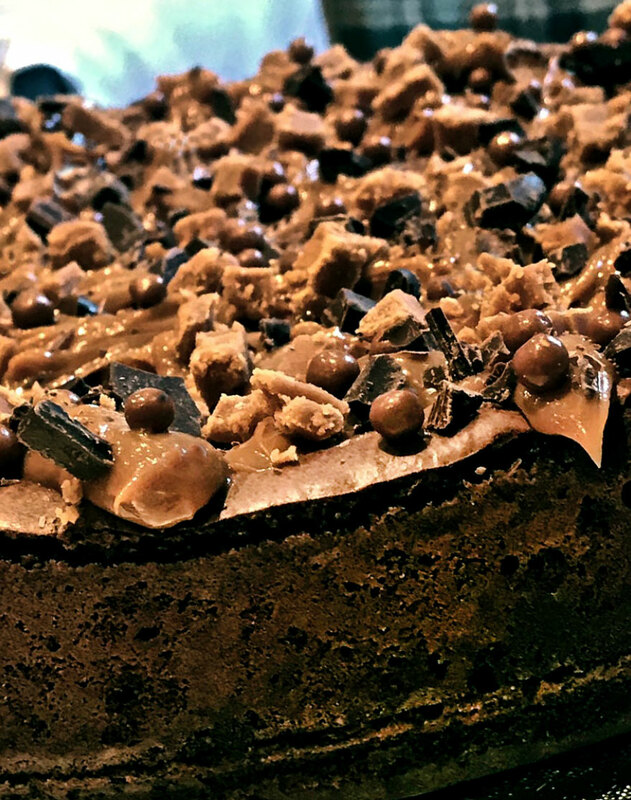 A gooey chocolate brownie, marbled with a rich caramel, decorated with more caramel and fudge pieces. 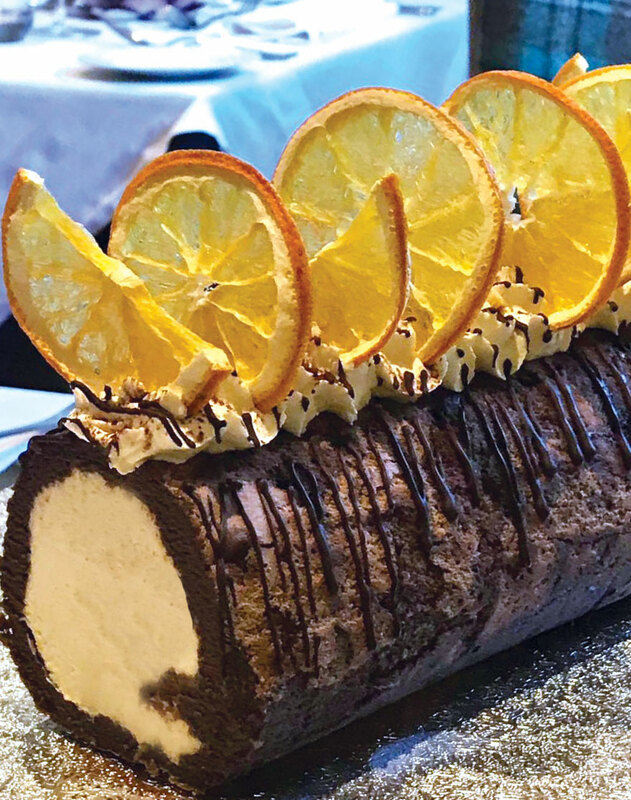 A delicate chocolate roulade wrapped around a freshly whipped Cointreau cream. Decorated with cream and orange slices. Gluten Free. Our own famous house speciality. 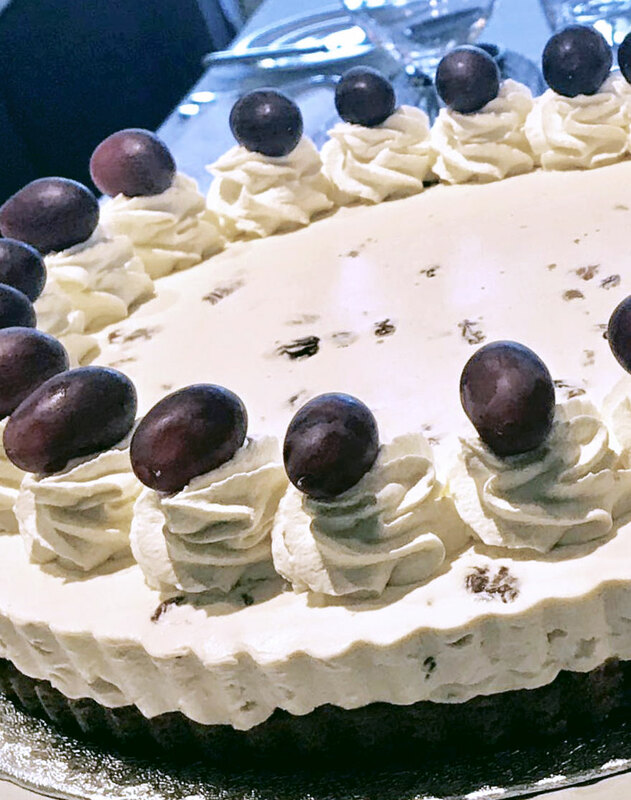 With a shortbread biscuit base of almonds, raw cane sugar and butter, this cheesecake is filled with a luxury combination of cream cheese, double cream, eggs, sugar and raisins soaked in rich, dark Jamaican rum. A baked white chocolate cheesecake over a dark chocolate oaty biscuit base. 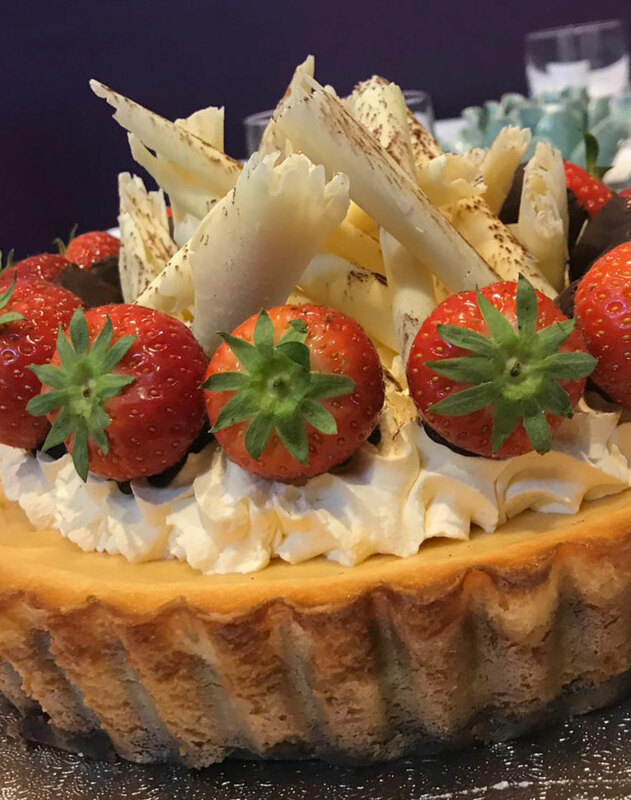 Dolloped with lashings of whipped cream, topped with a generous layer of white chocolate curls and finished with fresh strawberries dipped in Belgian plain chocolate. Gluten Free. Pecks own recipe famous carrot cake, made with carrots, walnuts, sultanas & spices. Made with carrots, walnuts, sultanas and spices. 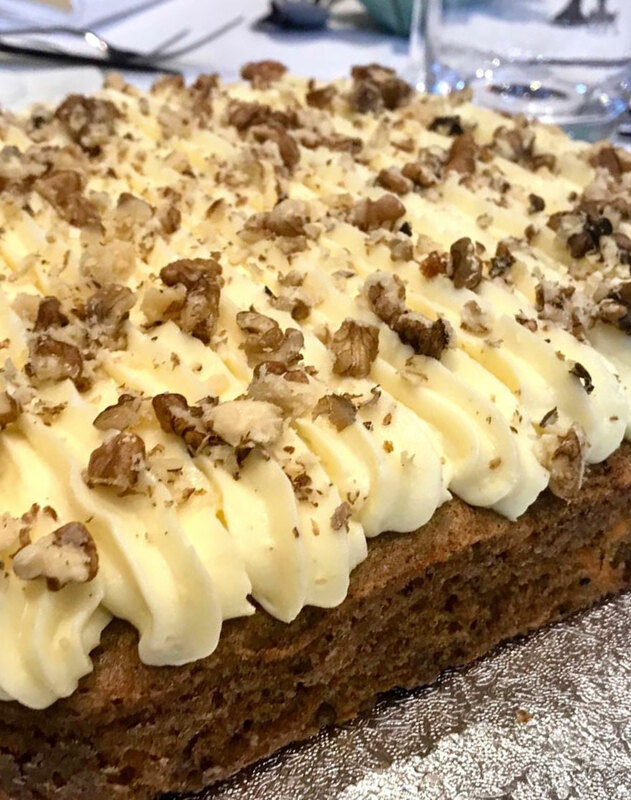 Probably the best carrot cake you will ever taste! A real palette cleanser. Crunchy biscuit base filled with soft double cream, fresh lime zest, juice and condensed milk. 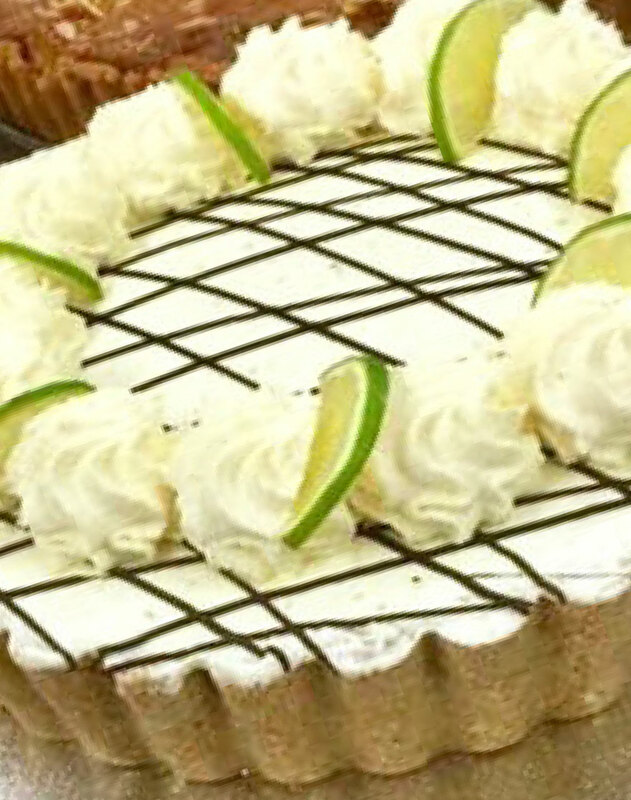 Decorated with cream, lime segments and Belgian chocolate. Gluten Free. 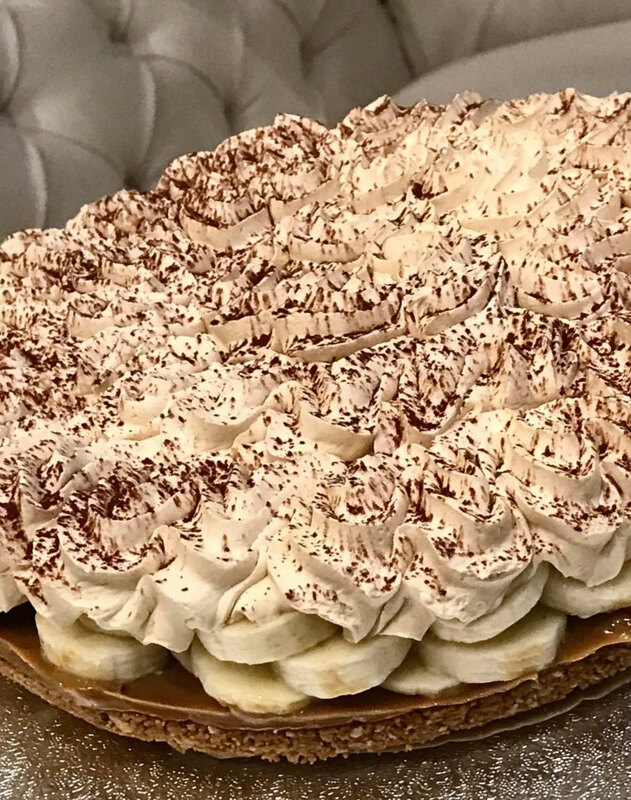 A crunchy oaty biscuit base smothered in creamy caramel, topped with sliced fresh bananas, under a scrumptious mocha cream cloud. Gluten Free. 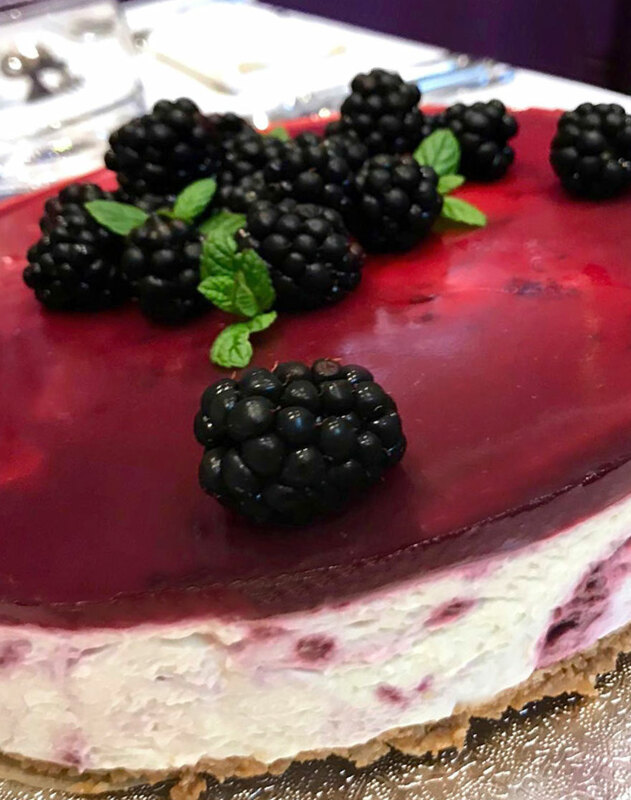 A classic cheesecake laced with blackberries and Brockman's Gin. Decorated with a layer of Blackberry Tonic.